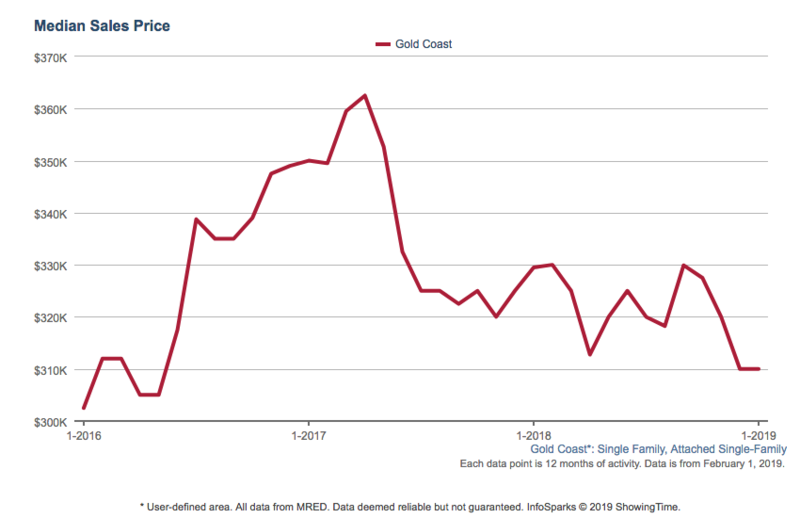 The December 2018 Median Sales Price for Attached Single Family Home (condos) in the Gold Coast is $310,000, a 4.6% decrease from December 2017. Market time is 101 days, up 6.1%. A total of 637 homes sold, down 4.5% from the previous year and 94.8% of list, a .4% decrease. 2 and 3 bedroom home prices have increased while 1 bedroom homes have slightly decreased. 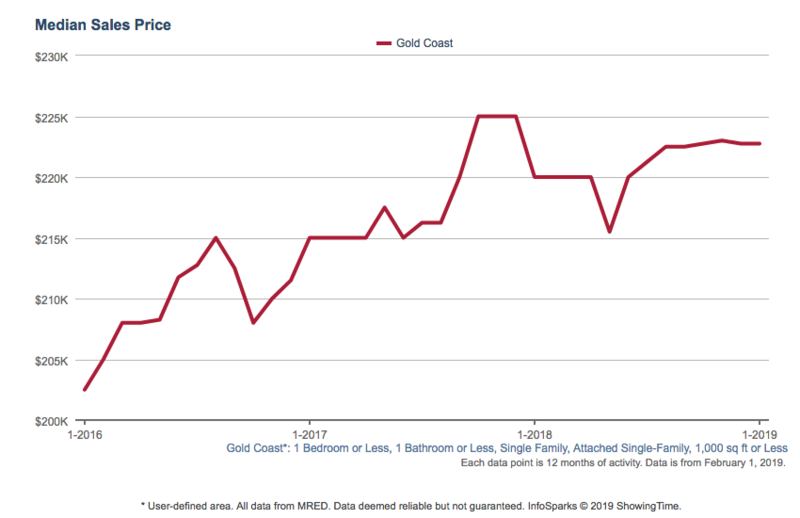 The highest volume of sales in the Gold Coast is the one bedroom, one bathroom 750-1000 sq. ft. condo. For $220,000-$250,000, a buyer can purchase a condo at 1550 N Lake Shore Drive or 1300 N Astor. Most of these buildings have been built in the 1960s; however, many of the units have been updated with hardwood floors and granite kitchens with stainless steel appliances. The buildings vary on the type of amenities offered and HOA fees generally run between $750-850 per month. Many are completely renovated with 10' and 11' ceilings, stunning architectural elements, chef's kitchen, multiple fireplaces, entertainment areas, private outdoor space and garages. The median sales price for a one bedroom, one bathroom 1000+ sq. 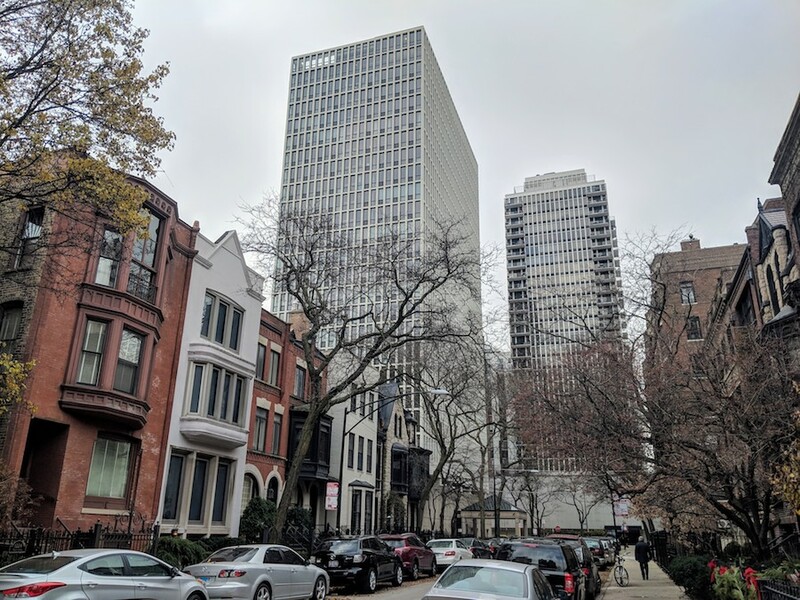 ft. unit is $414,000; however, a buyer can purchase a modestly updated unit in vintage buildings like 1366 N Dearborn or 179 E Lake Shore Drive for $310,000-$395,000. In the price range of $450,000-$550,000, a buyer can purchase a two bedroom, two bathroom 1400+ sq. ft. condo in a boutique building like 1250 N Dearborn, or a completely renovated unit at The Ambassador House at 1325 N State Parkway. A three bedroom, three bath 2000+ sq. condo will range from just under $800,000 to $2.5M, depending on the unit, finishes, building and amenities. For just under $1M, a buyer can purchase a completely renovated 2000+ sq. ft. condo at 1240 N Lake Shore Drive or 1366 N Dearborn. For over $1M - $2.5M, buyers can purchase 3 bedroom, 3 bathroom 3000+ sq. ft. luxury condos at 950 N Michigan, or beautifully renovated vintage condos at 1325 N Astor and 1260 N Astor. The median sales price for a Detached Single Family home is $2,583,750 up 16.1% from December 2017. A total of 15 homes were sold down 6.3% from the previous year and at 89.5% of list .9% down from the previous year. Market time was 246 days down 48.2% from the previous year. 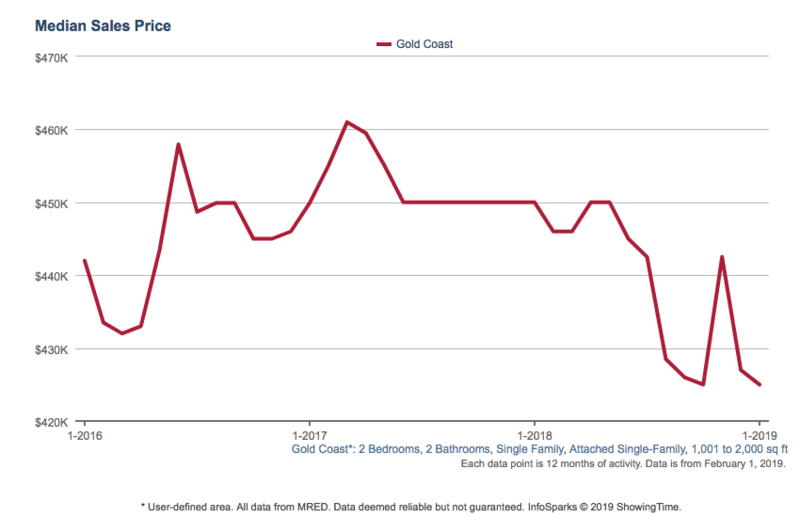 The 15 homes that sold in the Gold Coast in 2018 ranged in price from just over $1M - $4.6M. Most of these elegant and historic homes are over 100 years old, many were built in the late 1890s, range from 3000-7000 sq. ft. and have an average of 4-6 bedrooms and bathrooms. These homes are located on State Parkway, Dearborn and Astor Streets. Many are completely renovated with 10’ and 11’ ceilings, stunning architectural elements, chef kitchen, multiple fireplaces, entertainment areas, private outdoor space and garages. Median Sales Price is $222,750, a -1.0% decrease from December 2017. Sellers received 95.5% of original list price, which was a 0.4% decrease from the previous year. A Total of 184 Closed units, down 4.7% from 193 in 2017. Average market time is 67 days, a 31.4% increase over the previous year. 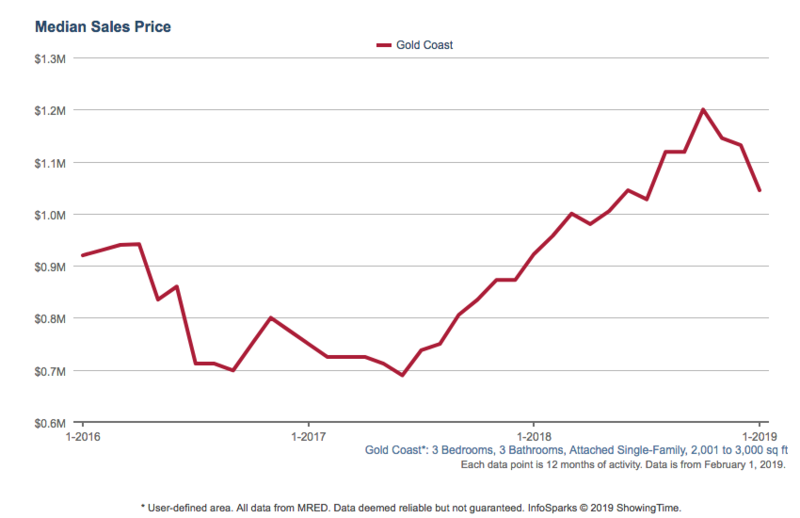 Median Sales Price is $426,000 up 5.3% from December 2017. Sellers received 94.8%, down .8% from the previous year. A total of 106 units sold, a 24.3% decrease from the previous year. Average market time is 105 days, down 12.5% from the previous year. Median Sales Price is $1,131,750, up 29.7% from December 2017. A total of 24 closed units, up 20% from the previous year. Sellers received 90.8% of original list, a decrease of 2.9% from the previous year. Average market time is 162 days, a 50% increase from the previous year. 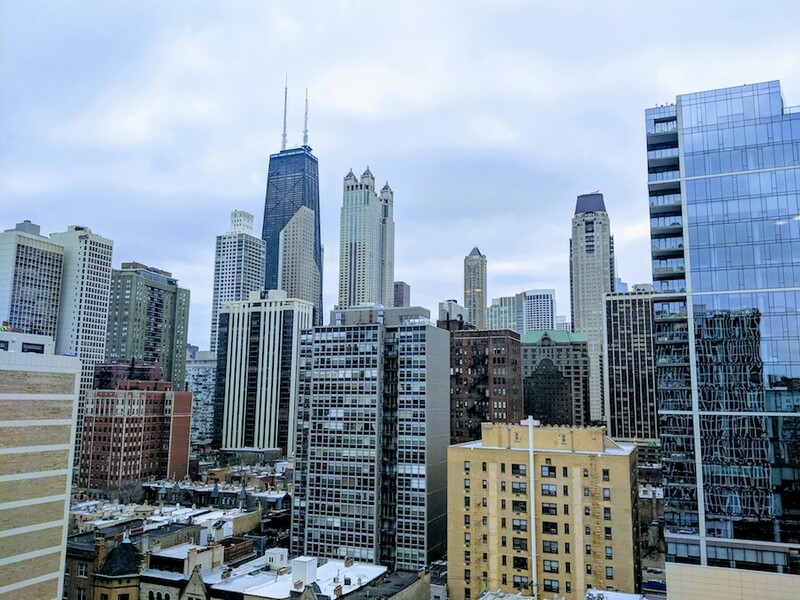 The Gold Coast is one of the premier areas to live in Chicago. Demand is high, particularly for one bedroom, one bathroom condominiums. Two and three bedroom condos have appreciated in 2018; however, the one bedroom has slightly decreased in value. 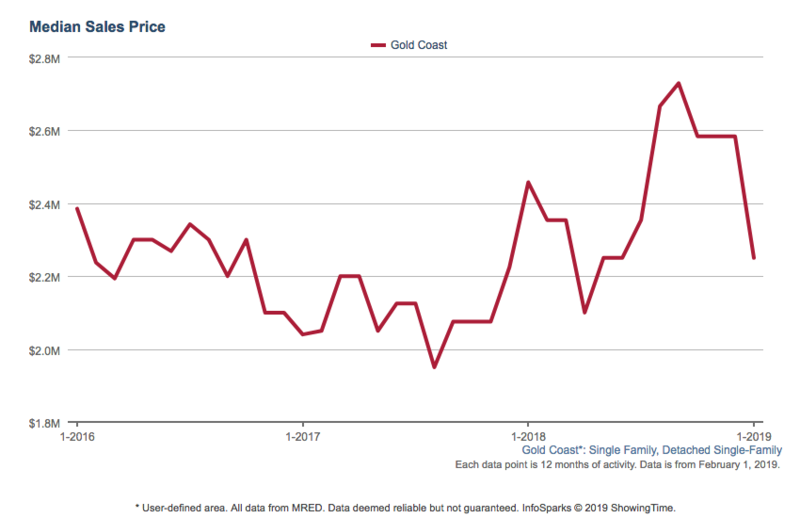 The market in the Gold Coast is stable despite rising interest rates and longer market times. In this dynamic market, sellers will need to be aware of their competition and make pricing adjustments or offer incentives in order to get their homes sold. 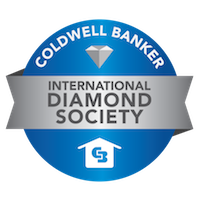 Due to rising interest rates, there are less buyers in the market who expect some type of financial incentive from sellers. Buyers may need to adjust their expectations when it comes to needs and wants, as rising interest rates affect affordability and monthly mortgage payments. 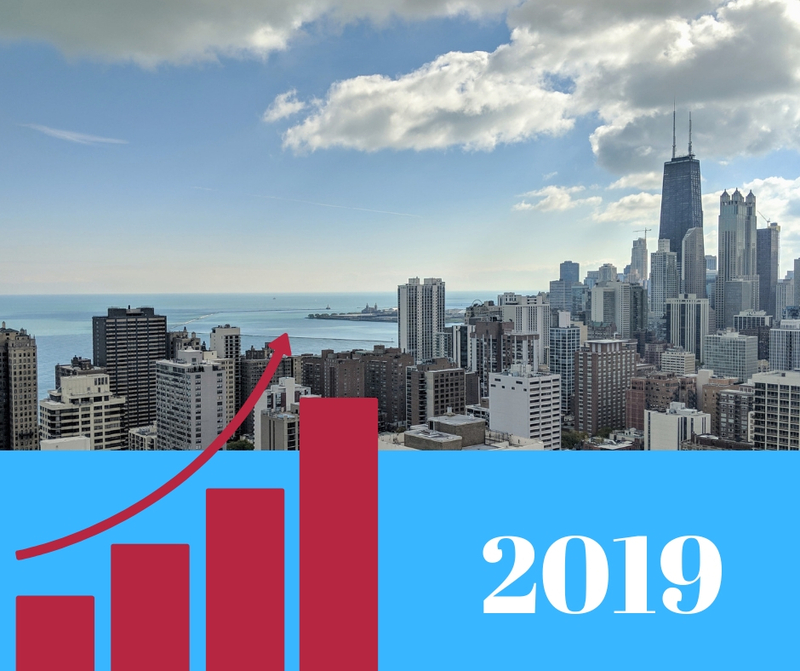 Single Family Home prices have appreciated by over 16%; however, with the median sales price being $2.5M, and 15 total homes sold in 2018, there is a small pool of buyers in this price range. Sellers should price competitively to avoid price reductions and increased market time to contract. Buyers in this price range who are seeking a mortgage, may need larger down payments, higher credit scores, more cash in the bank, and incur additional fees in order to qualify for conventional financing or a jumbo loan.